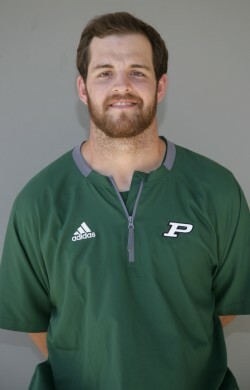 Coach Williams is entering his second season coaching at Poway High School. A native of Hudson, Michigan, Coach Williams won four Michigan state titles in high school. Three of which in wrestling and one in football. After capping off his senior season with a 14-0 record and receiving All-state honorable mention at quarterback, Coach Williams was recruited to be a member of the inaugural football team at Siena Heights University in Michigan. There, he and his classmates built a program that would win a Mid-States Football Association championship in 4 years. Coach Williams moved to San Diego shortly after earning his Bachelor of Arts degree in History. He will coach quarterbacks for the varsity and JV programs as well as coordinate the JV offense.